This marks a milestone in 小小宝贝’s life, the beginning of a whole new world of food, apart from Mommy’s yummy ultra nutritious breastmilk. 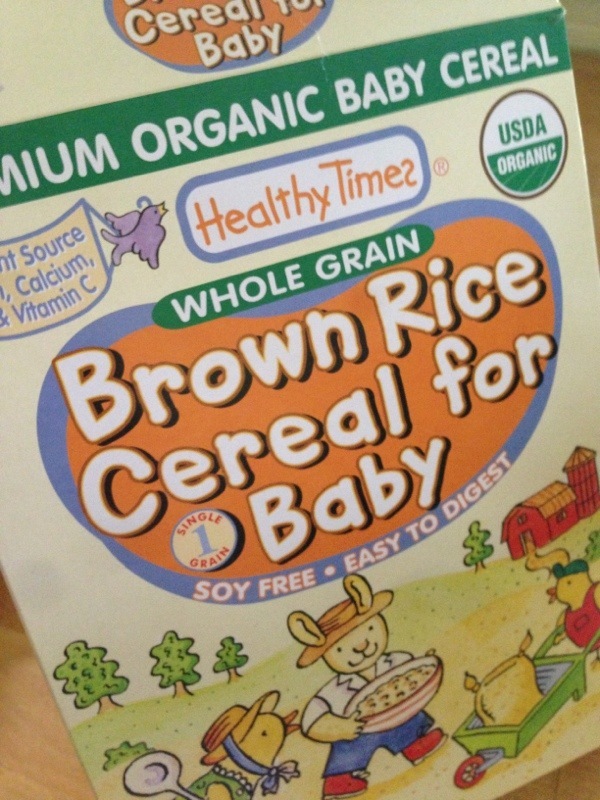 Healthy times brown rice cereal. Prepared in anticipation of this all important day. 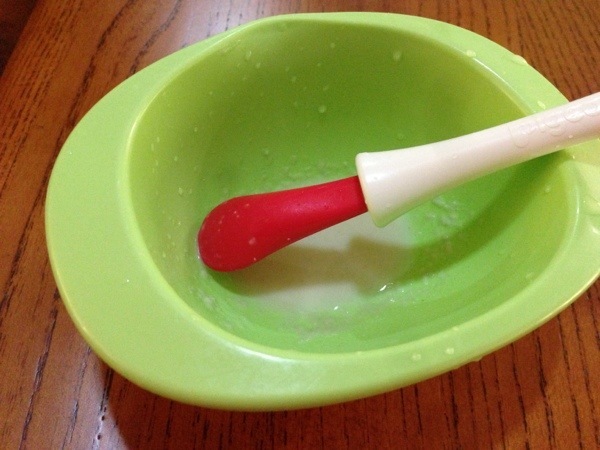 I started him off with just 1 teaspoon of cereal mixed with 2 teaspoons of freshly pumped breastmilk. He wasn’t used to being fed with a spoon. His little tongue kept thrusting at the spoon and cereal dribbled out of the corners of his pouty mouth. Of course, the precious freshly pumped fresh milk mustn’t be wasted. I scooped up the leftovers from the sides of his face and returned them back up his mouth. No wastage starts from day 1!! I wanted to take a photo of his first feed to commemorate this memorable day. But with one hand holding him back against his bumbo (he was more intent on transferring his mouth fluids to his bumbo seat by licking it vigorously), the other hand holding the spoon, busily scooping up the cereal, there’s no way I could snap a photo. Unless I grew 2 more hands or my feet can handle the phone. Hmm… Maybe I can train my feet to take photos like how Daniel Day Lewis painted with his feet… Now, THAT’s a thought!!! Think of the numerous things I can do with my feet. At the end of the feed, he was able to eat the cereal beautifully without dribbling and even protested with a little whine when I showed him the empty bowl.